Discussion in 'iPhone and iPad Games' started by antony.thai, Dec 1, 2015. 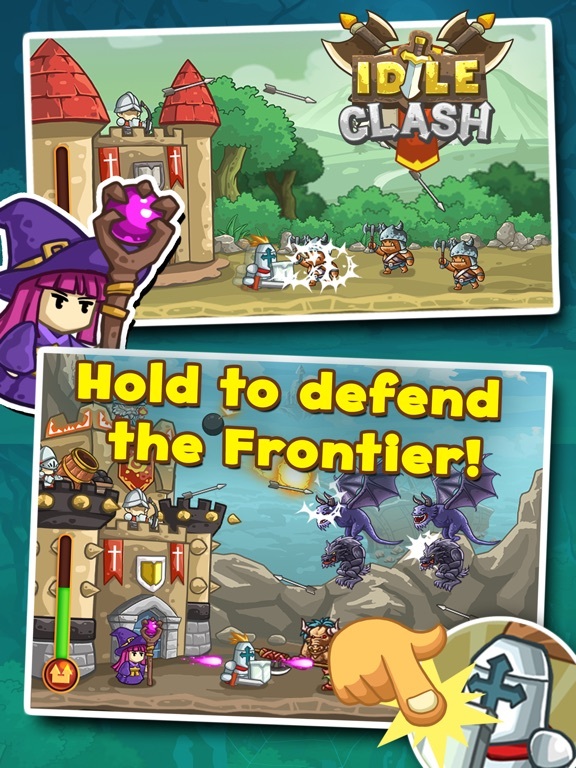 Embark on an epic defense at frontiers to grow ever stronger and defeat your insane enemies. Hold to attack! Tap to activate devastating skills! 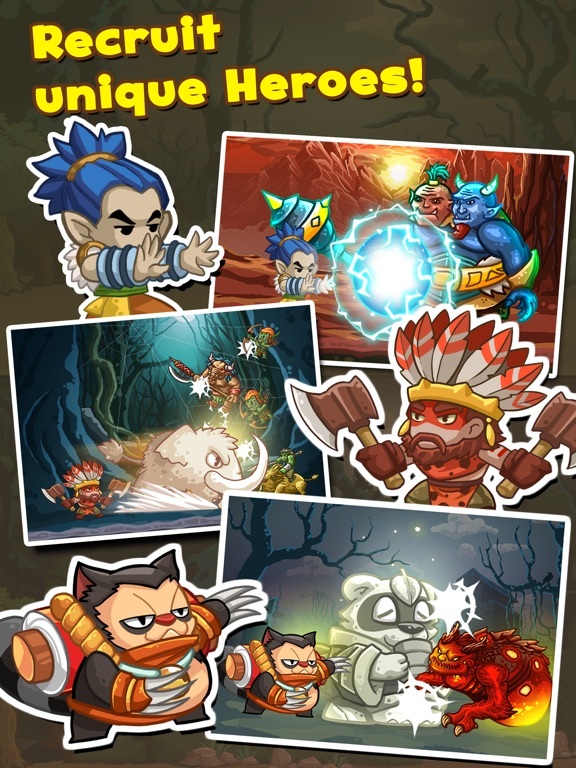 Tap to recruit heroes! 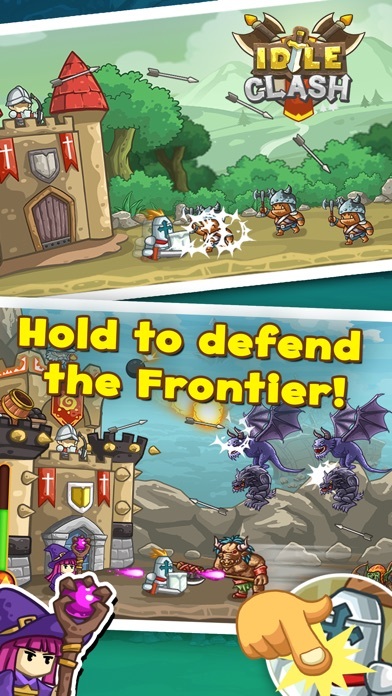 Tap to build Defensive Towers! Tap to upgrade towers! Tap to level up heroes! Tap to unlock Relics! Tap to spin the lucky wheel! Tap to open mystery chests! Tap to WIN! 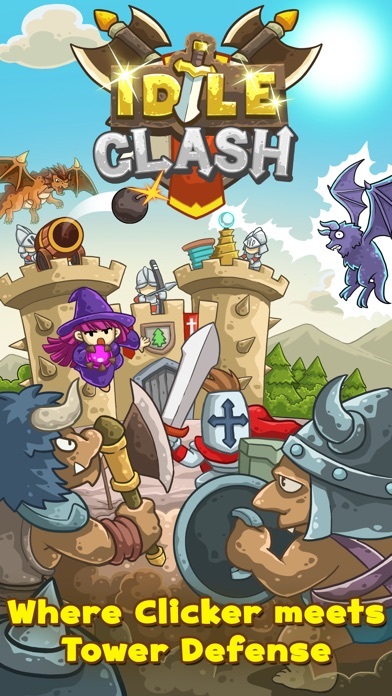 *** What made Idle Clash becomes a MUST-HAVE? *** - This is where clicker perfectly meets tower defense! - This is where RPG elements do exist! 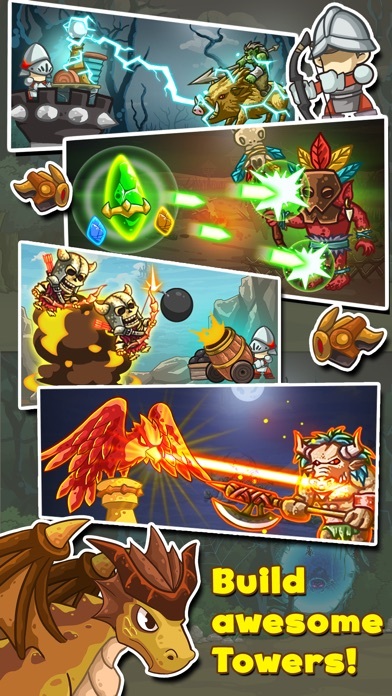 Recruit heroes with their own unique abilities! - This is where you can control up to 3 HEROES at the same time! - This is where you have no worry for losing your progress! Cos they're back-ed up online in our Cloud Servers. 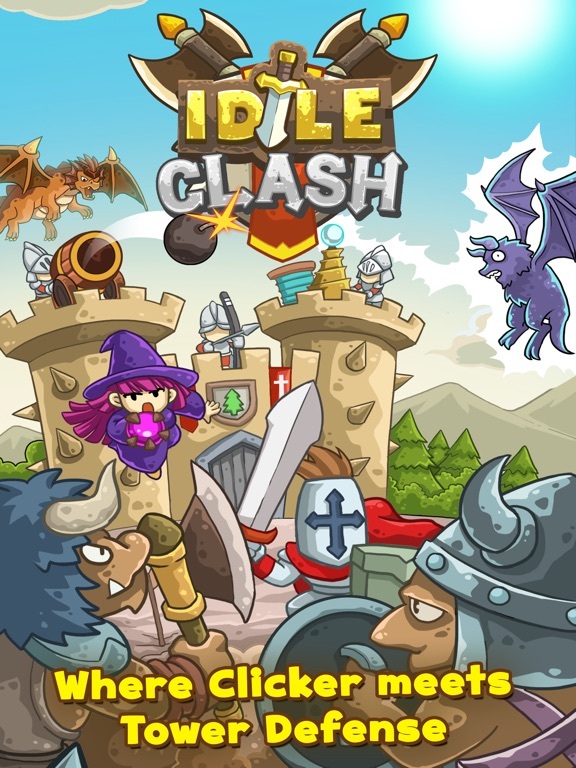 *** All cool features that people ever wanting, Idle Clash has them all *** - 10 unique defensive towers with endless upgrades! (More to come in updates) - 6 unique heroes with endless upgrades! (More to come in updates) - 50 beautiful, hand-crafted environments. 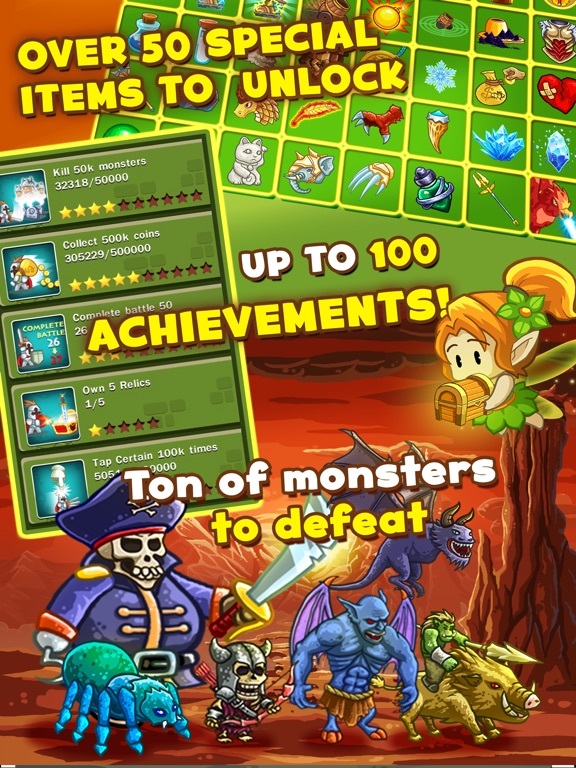 - More than 100 Relics to collect! 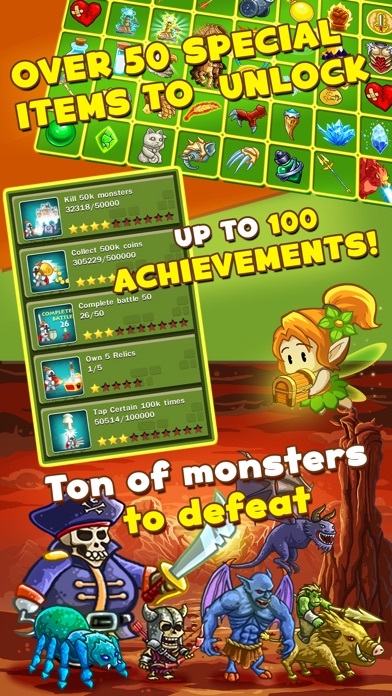 - Many types of destructive monsters are ruthlessly outnumbered! - Many quests with awesome rewards. - Lucky Wheel to brings great items. - Game Center's Leader-board. - Game Center's Achievements. - Data syncs across multiple devices. I'm so proud of being the one to start the thread of this game, this one was being done by my mates at Pine, hope that everyone will love it. This is, at its core, a very active clicker game and not an idler of any kind. 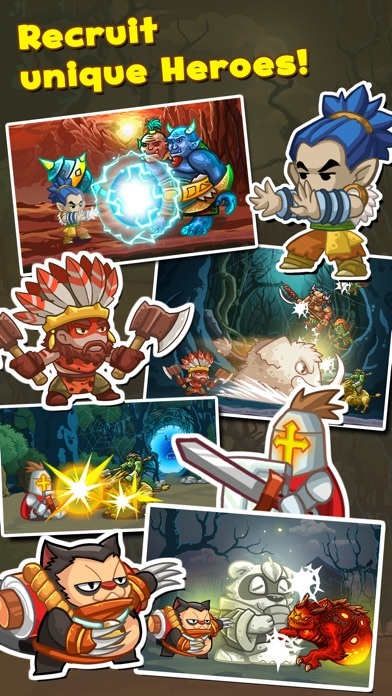 What it does, it does very well, which is a pretty fresh and unique mashup of tower defense and clicker game with active abilities. It's pretty easy to recommend giving this a whirl... You'll know pretty quick if you'll like it or not. Friend code: (edit) post yours below so you and others can get benefits, but it seems like the giver gets nothing after first 3 so removing mine. Where do I add the friend code? I think it's just a prompt after a mission or two. If wish this game had some sort of downtime. Just being thrown in over and over is painful... Literally. Auto is neat... Can use auto and skills without cost as long as they're refreshed and use them WITH cost if not refreshed. A little gift angel thing flies through and drops AUTO if you click on it. One of the best games ive ever played. Clicker, defense , amazing . For everyone that loves clickers and for everyone who doesn't oddly enough. It's more than an idle clicker. It's actually a defense games in a lot of ways. 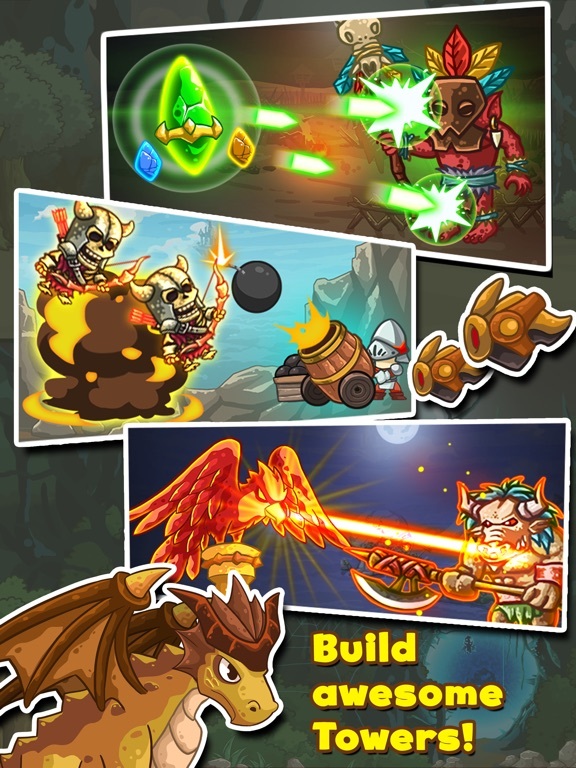 U click to build you attacks up and special abilities. Upgrade virtually everything . Any advice on heroes? I'm reluctant to spend much gold on them when I might be swapping them out. Fantastic clicker from one of my favorite Devs. Spent a good amount of hours testing this and enjoying every second of it. A nice combination of clicker and tower defense. Note, it's not really a passive clicker, but that just adds to the fun. I can heartily recommend it to any clicker fans. I also beta tested it. I'm using Alex, Emily and Mason, but will probably swap Emily to Momo once achieved. But I think it's good to check all of them out, to see which is your favorite. The max damage of the later characters is higher though (still I really like the special attacks of my currently chosen 3). Btw: Loved Century City as well. One extra note for those interested in or afraid of IAPs. There is a coin doubler, but is perfectly playable without (I finally got it now that the game is released, but reached level 67 until). So it is more like supporting the devs, which I think they well deserve! You can also buy gems, but again the game is generous, you can get a lot by levelling, doing achievements and from a rulett. Overall I think it's really fair, so it should not scare anyone away. Fun game! I received an early promo code and I've been playing it quite a bit. My code is 40ABE0! Beta tested it and I can approve that this is actually a really neat game. I didn't exactly get to beta test it, but I did get a "last-minute promo code" so I was able to tweak with it for a day or so before official launch. I'll chime in with what others have already said - maybe it's just psychological, but it would be nice if there was a 'pause' between rounds so you could take stock, buy upgrades without feeling under pressure, and start the next wave whenever you're ready for it. Likewise, I don't think there's a way to 'backtrack' to earlier levels, so it's possible to get stuck seeing the "Defeat" screen several times in a row until you amass enough funding to have the DPS needed to clear the current wave. I think the game starts to come into its own once you reach Level 10 (or spend gems) and have three active heroes. With two, you can alternate tapping between the two buttons and keep a pretty steady stream of fire going (or have one autofire expire just as you're refreshing the other). But with three, you need to make more active decisions on what type of offense you want to be tapping towards (either to use at that point or charge up the autofire for the last wave rush of enemies). Hey guys I love these kinda games and this one seems great so far. Please use my invitation code! I want Santa.